MEXII is a new generation of UHF/VHF multimode Exciters covering all the Digital and Analog TV standards with advanced control and supervision functions. All operations necessary for the generation of a high quality RF signal, in accordance with all analog television standards (ATV) B/G/D/K/M/N (including NICAM) and digital television standards (DTV) DVB-T/H, ATSC/ATSC-3.0, DVB-T2, ISDB-T/Tb, DTMB, are completely performed by a Real Time Digital Signal Processing using a FPGA (Field Programmable Gate Array). 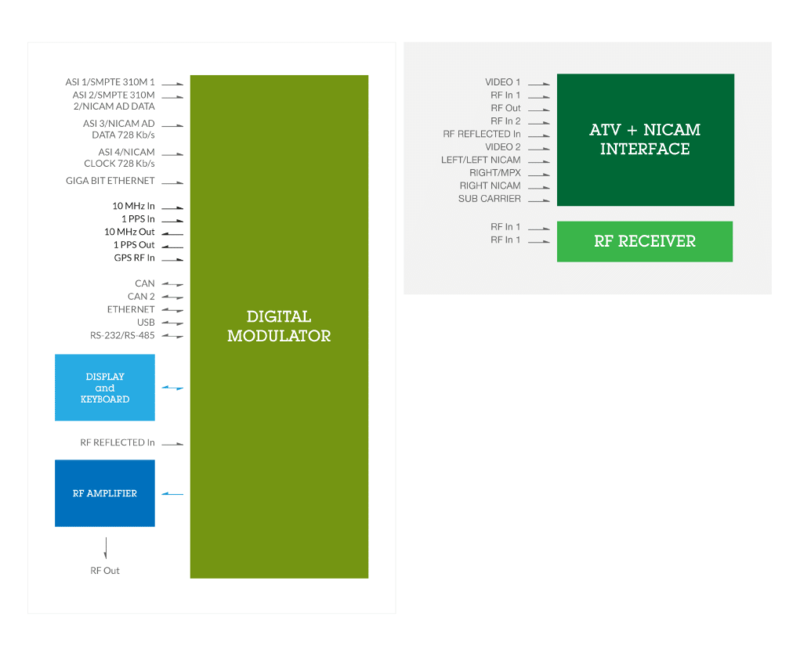 By loading two different firmware in the memory card, the modulator can operate as Dual Cast, with the possibility to switch from analog to digital transmission with a simple command (local or remote).